WOW!!! Only 5K MILES on this ONE OWNER OFF LEASE Toyota Corolla with a clean Carfax history report!!! Brand new is the best way I can describe this car. The paint shines just as bright as it did new and this inside is fresh with that new car smell. We have performed a complete service and inspection on this car to insure that it needs nothing when you drive it off of the lot. 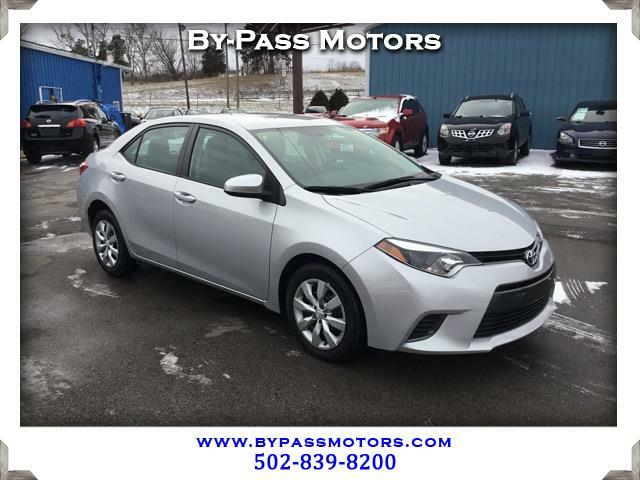 Equipped with all the features you would want in a Corolla and comes with remaining factory warranty!!! We have been in business since 1989 with an A+ rating with the BBB. Please call ahead to schedule an appointment with our small staff to insure that we handle all your car buying needs!! !